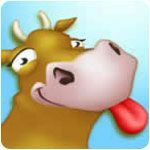 Task Management Games - Download and Play 142 Free Task Management Games! Task Management - Handle multiple tasks at once like customer service or pet care. Fast paced. Manage air traffic and load up passengers! 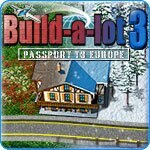 Build houses, mansions, shops and more to get rich! Build homes in the styles of the '50s through 2009. Click fast and recreate a tasty burger empire! Cook mouth-watering foods with none of the mess! Feed the farm animals and keep them safe! Raise exotic animals on farms all over the world. Get your hands dirty with some extreme North Pole farming. Care for the farm and make some pizza in another Farm Frenzy! Spend some time in the country with Anna and her friends! 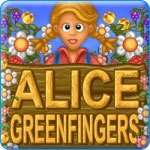 Raise crops and farm animals and never stop clicking! Control all aspects of a farming business! 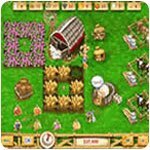 Grow crops, raise livestock, and sell the produce on your farm! Plant and raise beautiful gardens! Win the contest and unveil a ruthless thief! Here's your chance to build a big city from scratch. The hit cooking TV show now for play on your PC! Manage your way to success in a never-ending vacation! Grow a hotel business through great service. Make smart choices to become successful! Live life on your terms with this engaging simulation game! Build a world class farm! A nice blend of strategy and time management gaming. Lead a successful career as your life truly begins! Help Nanny Emma save another celebrity home from falling apart! Start your own pet salon from the ground up! Deliver pizzas as fast as you can and cash in! 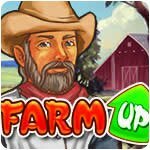 Manage an exotic farm in this faced past game! Mother Nature is no match for the Rescue Team! Pave the way to power - and your lover's heart! Pave the way to the gods! 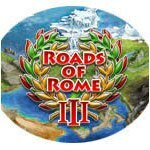 Help restore the Roman Empire to its former glory! Rebuild a kingdom with wise use of resources. Who will be the new ruler of the Kingdom? Manage a virtual salon in this colorful challenge. Take your supermarket from run-down to glamorous! Beat the other contestants and compete to become the Top Chef! Harvest and sell farm goods before time runs out! What Are Task Management Games? Task Management games (also known as Time Management games) involve the player managing a variety of tasks at once, usually to serve customers in a restaurant or shop. The game starts out slow with the player only performing a few tasks at a time such as seating customers at a table in a restaurant and then taking their orders. The game gets more complex as the player must serve more customers or perform more tasks in a short amount of time. For example in restaurant type task management games, players will seat customers, take orders, deliver orders, clear tables, take checks, cash checks, clear tables and serve more customers with similar demands. Game play is usually fast paced and hectic and great for those who love multitasking. In the early eighties, a quaint game popped up in bars and arcades. Known as Tapper, this was the precursor of today’s Task Management games. In Tapper, sometimes called Root Beer Tapper, the player took on the role of a bartender with several customers sitting at multiple bar tables. The game is filled with sliding mugs, dashing for tips and, if the player is not careful, drinks crashing to the floor. Tapper is lightning paced, even before the can-can girls started dancing and the game launches into turbo mode. A good Tapper player keeps the taps flowing, slides drinks to customers, and catches empties to work his or her way up to higher more complicated game scenarios. 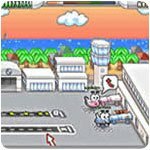 Tapper inspired Diner Dash, the game that launched the task management casual game frenzy on the Internet. Released in 2004, Diner Dash centers on a stockbroker named Flo who has had her fill of the stress of Wall Street and starts over again buying a dilapidated old restaurant. You take on the role of Flo and run the restaurant, seating customers, serving food and making improvements to the restaurant. If you are good, customers start to flock in, the money starts flowing and, before you know it, you are looking to be the next world-famous restaurant magnate. Diner Dash has been one of the most successful game models in Internet history. Countless clones have recreated the Dine and Dash experience in different settings. 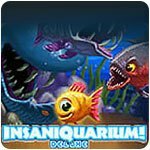 Today, you can choose from among such varied Task Management game themes as the management of feeding and fighting predators in an aquarium populated with exotic fish; the planting, plowing and harvesting of a thriving farm full of livestock and crops; or the development of a successful small business. If you like to manage multiple tasks, like fast paced and hectic game play, and take pride in seeing customers served quickly and efficiently, then Task Management games is the right type of game for you. 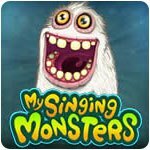 Most of these games are quite easy to learn and only involve using the mouse to click on varying tasks to accomplish, making them suitable for a wide age range of players.